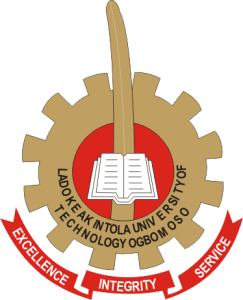 In: LAUTECH Pre-degree Science Supplementary 2016/2017!! LAUTECH Pre-degree Science Supplementary 2016/2017!! Ladoke Akintola University of Technology, Ogbomosho, LAUTECH Pre-degree Science supplementary admission form for the 2016/2017 academic session is now on sale. The sales of applications has been rolled out for Pre-degree science supplementary entrance into LAUTECH for the 2016/2017 academic session. Applications are invited from interested and suitably qualified candidates for the Ladoke Akintola University of Technology pre-degree science supplementary admission for the 2016/2017 academic session. Click “here to apply“. You should ONLY do this after you MUST have read and understood all the instructions on this site. The Email Address supplied has to be unique and valid, and will serve as your Registration ID to make payment. The closing date for the submission of LAUTECH Supplementary Pre-degree Application form is Wednesday, April 19, 2017. Each candidate must ensure that the examination slip bearing his/her passport photograph is downloaded and printed as an evidence of successful submission of form. Please note that late completion/submission of forms will not be entertained. The entrance examination will take place on Thursday, April 20, 2017 at the new ICT Building.